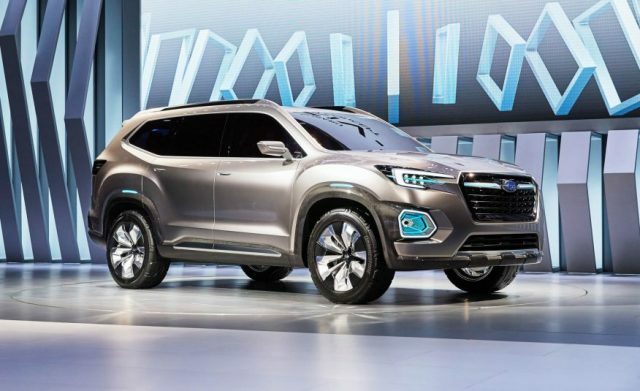 Subaru just introduced a concept version of Tribeca’s successor at the 2016 Los Angeles auto show. 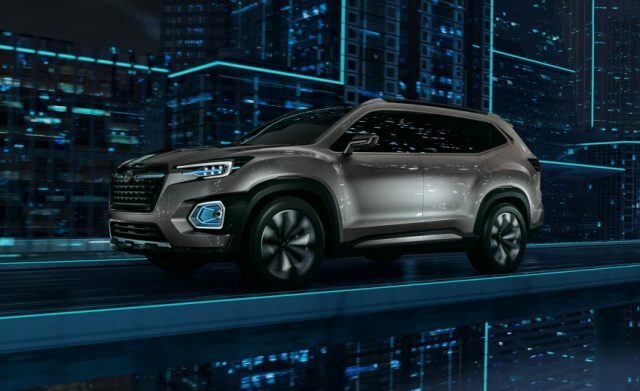 The Japanese car manufacturer calls this three-row SUV the Subaru Viziv-7 concept, yet we are absolutely positive it will be named the “Ascent”. 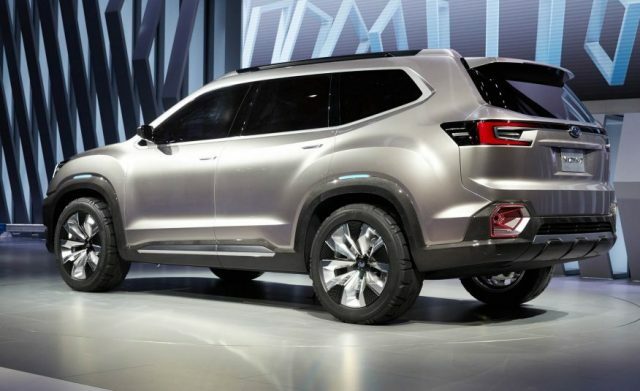 In any case, it is pretty clear that the mid-size crossover SUV segment is getting one more really strong player. The Viziv-7 or Ascent appears to be very interesting. Measuring 204.7 inches, the SUV could become the longer in the segment. We did not check this, yet we are sure it will be one of the biggest. On the other hand, around 117.7-inch between the front and rear wheels is somewhere in the middle of the class, while the 79.9-inch width and 72.0-inch height make the vehicle very massive and powerful. 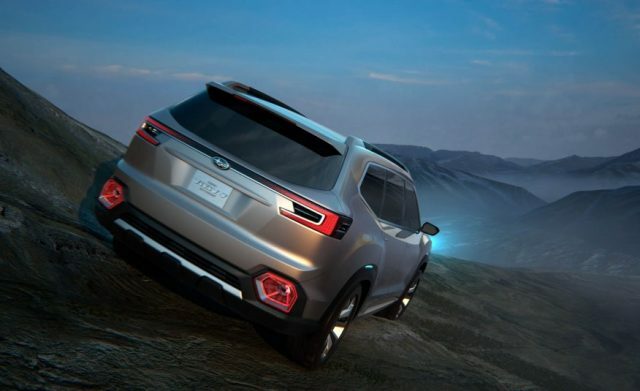 The Subaru Viziv-7 concept features a quite interesting design that combines rugged and boxy lines. The front end sports a large and bold grille, as well as a very radical lightening cluster. 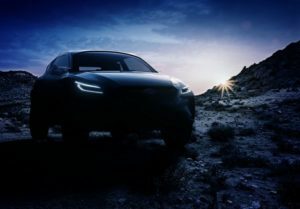 Both the headlights and fog lamps are really amazing and rather futuristic, but we are not sure that the production model could get the same treatment. The SUV gets pretty strong shoulders and dynamic roof, but we are the most impressed with these dumpy wheel arches. Of course, the 21inch wheels won’t be there when the automaker introduce the production model. In contrast to the striking face, you won’t get excited with the rear end. The taillights are influenced by the headlights, while the back hatch looks rather flat. Now, the carmaker hasn’t said anything regarding the engine of the Subaru Viziv-7 concept. Still, we already found out that the production SUV is getting two options under the hood. They will offer a turbocharged four-cylinder engine and possibly the 3.6-liter six-cylinder boxer engine. However, the flat-six mill that currently powers the Outback will definitely feature more power for the upcoming three-row crossover. 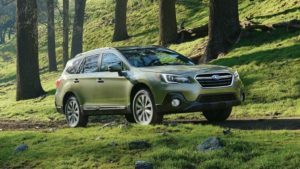 According to the manufacturer, the 2018 Subaru Ascent will be introduced in early 2018.